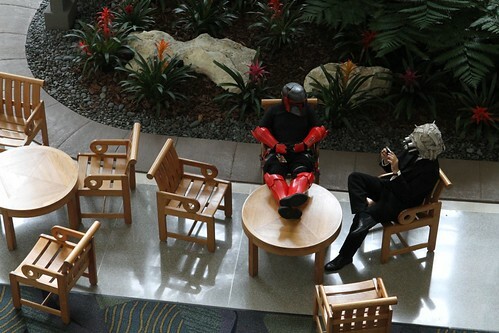 I spotted this well-dressed Tusken and his Mando friend as they took a break from the fun at Star Wars Celebration V in Orlando, FL back in 2010. Celebration VI is coming up this year and the buzz is starting to grow online. I'll be sharing some more photos from previous events in the coming days and weeks.